On Wednesday, March 27, The Diamondback published an opinion piece supporting student groups’ criticism of Student Government Association President Jonathan Allen’s decision to speak at the American Israel Public Affairs Committee (AIPAC) policy conference, a gathering of pro-Israel supporters, donors and lobbyists. The author of the piece, Olivia Delaplaine, argued that it was hurtful for Allen, who represents the students’ interest, to support “an organization that spreads public mistrust of pro-Palestinian and Muslim activists” and potentially give AIPAC attendees the false impression that this university’s student body supports Israel as well. This debacle is a sad reminder of the unrest in the Middle East, but condemnations like Delaplaine’s do nothing to move toward mutual understanding. Instead, they drive a wedge between students, campus activists and student groups. Delaplaine’s presumption of guilt for Israel and AIPAC ignores decades of history and the role of lobbying organizations in the U.S. Although constructive criticism is essential, it is equally important to remember that there are two sides to the story, each with its own narrative, each carrying the flag of moral rectitude. Throwing in a few citations from media companies with an agenda does nothing to contribute to a healthy debate either. Jonathan Allen is the current president of this university’s Student Government Association. Photo courtesy of Jonathan Allen. As levels of hate in the U.S. continue to rise, it is imperative that we take a stand and push for greater tolerance and understanding. Recent criticism of AIPAC by Rep. Ilhan Omar, D-Minn., using age-old anti-Semitic tropes further emboldened the flag-bearers of hate, but the facts have remained constant: AIPAC uses legal and legitimate avenues of power to help support and protect a democracy with values that mirror those of the U.S. from oppressive regimes that surround her with bared fangs. Conflating these goals with ideas of caricatural Jews dealing out shekels to crooked politicians is deeply hurtful and damaging to society. Allen was well within the boundaries of fairness and moral obligation in speaking at AIPAC. 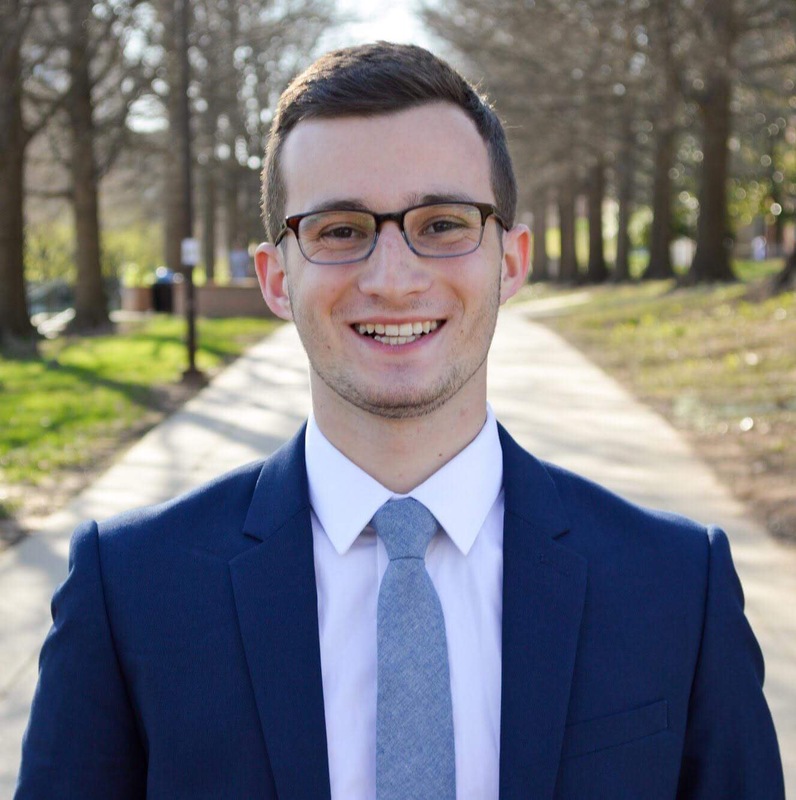 Although Allen was featured on AIPAC literature as “Student Body President, University of Maryland” it is easy to perceive that his views don’t accurately reflect the views of every student at this university. The very nature of democratic elections ensures that winners are not unanimously supported—only that they received the plurality of the vote—but they still assume the title of leader for all their constituents. It is an especially poor argument considering Allen was elected president of the SGA off the heels of leading the pro-Israel campus group Terps for Israel, carrying 74% of the vote. Clearly, students knew who they were voting for. Delaplaine also ignores the presence of pro-Israel groups and students on campus. Students for Justice in Palestine are but a small fraction of the student body, whose voice should certainly be heard, but cannot dictate the final decisions that student leaders make, whether they be moral or in their duties as representatives of the student body. It is particularly concerning that Delaplaine claimed that Allen’s decision “went against the values of much of the university community,” which is an erroneous and unsupported statement at best, and pure misinformation at worst. We certainly cannot further the conversation when dishonesty is part of the rhetoric. The most important takeaway from this story may be the least obvious. Yes, campus groups are doing good work in raising their voices, but if they truly want to help the Palestinians, they should try promoting their cause in a positive way, rather than denying the legitimacy of opposing groups. No Replies to "SGA president was within boundaries of fairness, moral obligation in speaking at AIPAC"